Fireproof sound absorber with a versatile design, 30 x 30cm tiles (thickness of 100mm). Boxes containing 16 - 32 units useful to cover up to 1.4 – 2.9 m2. KILEN is a set of sound absorber tiles that form a versatile acoustic panel; their special format in individual tiles, in light grey or white colour, it allows creating many different patterns that brings a new dimension of aesthetic and functional possibilities with an extremely high sound absorption. They are made of high quality fireproof Basotect® foam, combines high sound absorption efficiency, durability and good fire-resistance, Class 1 (mandatory requirement for public places). This product has a Class 1 (BS 476/7) fire-resistance class, a rating that complies with the requirements set out in the CTE norm (Spanish Technical Building Code); it is suitable for installation in public buildings. An optimised soundproofing treatment for establishments with reverberation problems that require high sound absorption with the best fire resistance (public buildings) and fine aesthetic, such as: restaurants, cafes, pubs, nightclubs, dance halls, classrooms, dining rooms, conference rooms, rehearsal rooms and offices. It's specifically recommended for large rooms with high ceilings (big volumes) where it is possible to spread out a big tile to get maximum acoustic performance and a unique aesthetic. Habitually they are fixed directly to the ceiling using our Skac Adhesive (in project studios or small rooms), or in large coverage with water based glue that allows a higher installation rate in units per hour. To get a standard results, we have prepared a little recommendation about the % of surface that you have to cover depending on the height of the room. 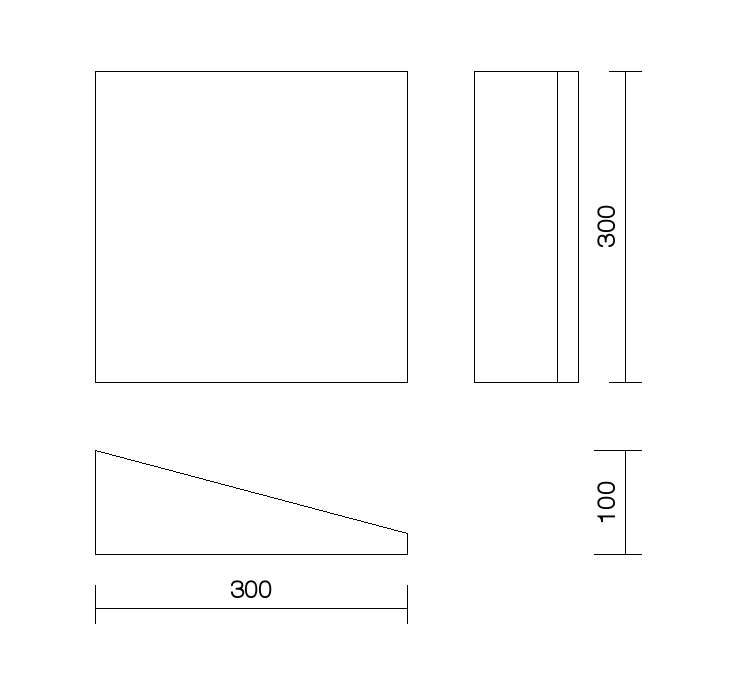 Example: Venue with 150m2 of floor area and 5m of height → 150m2 x 55% = 82,5m2 to be covered with Kilen tile; 82,5m2 requires an order of 28 packs of 32 units. If you have any doubts, please contact us! Our acousticians can help you.